They say ‘old is new again’ and with the buzz around CFLs and LEDs, don’t you think it seems strange to write a post on the old-school incandescent? If you’re a lighting freak who loves to use different kinds of lights in order to decorate your home, you must be aware of the fact that Edison bulbs has been gaining enough momentum among private homes, the most stylish restaurants and various other places and that too for a jolly good reason: their filaments are twisted and this is why they have a nice visual appeal which you wouldn’t get with other bulbs. If you go by the technical aspect of it, an Edison bulb is in no way different from the traditional incandescent but the only stark difference is the filament. The filament that you find in the Edison bulbs is stretched in appealing designs. This feature adds to the optic sensation and it easily transforms the entire space around and adds a mysterious look. Let’s check out the best ways to use this bulb. Since Edison bulbs have their own old-world charm, they are actually begging for the century to take a turn towards the industrialist fixture. Edison bulbs have an aura in them which makes them interesting, especially when they are used in pendant lighting which is the perfect piece on the table of your kitchen. That would be a perfect fit for Thomas Edison too! When it comes to adding vanity to your bathroom, vanity lighting is the best way out for enhancing that Hollywood luxury and glamour. 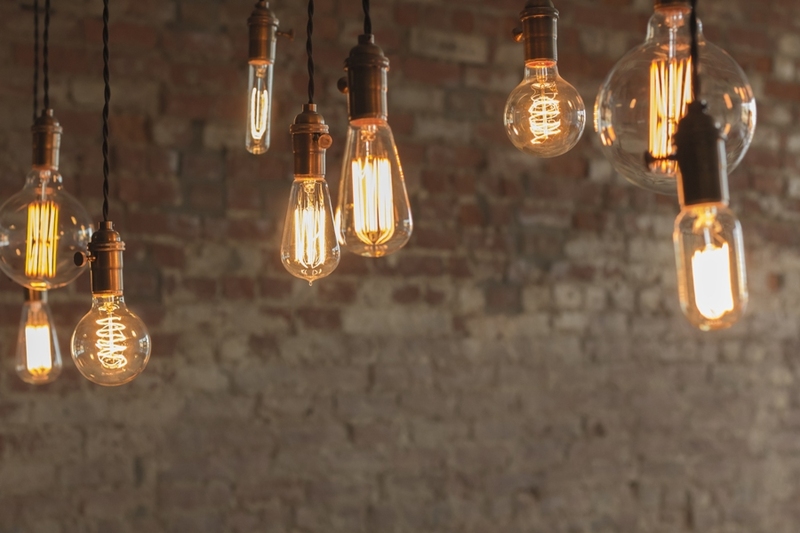 Due to their special shapes of filaments, Edison bulbs usually add the best punch to any possible fixture, particularly those bulbs which are exposed in your master bath. Design gets to be the most thrilling when it is able to bridge the gap in between opposites. If there is a modernist place where you have a modular kitchen, you can decorate the place with such Edison bulbs which is old-school lighting. If you go for a mid-century chandelier which is studded with different shapes of Edison bulbs, this can also be a rather fine choice. Selecting fixtures in traditional material like stainless steel will add a new layer of depth. From the perspective of design, one of the most popular things is the flexibility of Edison bulbs which you won’t get in the incandescent sources. When you mix different filament styles, it can add a nice flair to your lighting, especially if you add them in a group of pendants. How about inserting them in glass globes and hanging them around a dining table? Therefore, whenever you’re trying to get the best effect in your room with the help of Edison bulbs, you can take into account the above mentioned ideas and advices.